The 17th match of the inaugural APL season sees Balkh Legends take on Nangarhar Leopards on Wednesday from 17:30 IST at the Sharjah Cricket Stadium. While the former are sitting pretty at the top of the points table, the latter are in considerable danger of missing out on a semi-final spot. During the previous encounter between the two teams, Balkh emerged victors by 25 runs. Seamer Mirwais Ashraf was the star of the show. His stifling spell triggered a fatal lower-order collapse for Nangarhar. In addition to their top spot, Balkh will also be pleased by Chris Gayle's timely return to form. With the tournament entering its business stages, the Caribbean juggernaut appears to be rolling into town. The southpaw smashed as many as 10 sixes in the match against Kabul Zwanan. With 253 runs from seven matches, Anton Devcich is currently at the third position in the list of leading run-scorers in the APL. Despite a couple of failures in his last two matches, overall form is in his favour. Coming into Balkh's lineup at the expense of Colin Munro, Sri Lanka's Dilshan Munaweera showcased his talent by hammering a rapid 25-ball 46. He will be eager to further his potentially game-changing opening combination with Gayle. In 18-year-old Darwish Rasooli, the Legends might just have unearthed Afghanistan cricket's first batting star. Opposing skippers Ben Cutting and Mohammad Nabi can be relied upon to produce crucial all-round contributions to their respective sides. The Afghanistan stalwart is finally making the essential move by promoting himself up the batting order. If he moves further ahead to number four, the right-hander can shape the course of the match. A major reason behind Balkh's strong showing has been the steady performances of their seamers. Gulbadin Naib and Mirwais Ashraf have combined to make life extremely difficult for opposition batsmen. Their subtle changes in pace are paying rich dividends on the slowing pitches at Sharjah. Overcoming an indifferent start to the season, Mujeeb Ur Rahman has blossomed into a menacing proposition over the course of the last few matches. 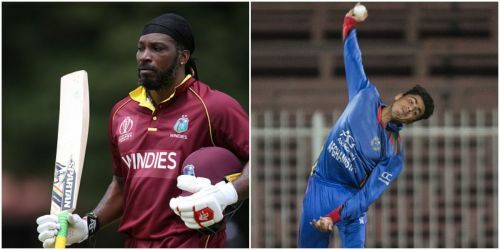 The Nangarhar spinner's duel with Gayle and Munaweera could set the tone. Meanwhile, Balkh leg-spinner Qais Ahmad also has the ability to cause some damage of his own. His lengths have been spot on for the most part of the tournament. If he settles into a nice and comfortable rhythm, the 18-year-old can pose a threat for the Leopards batsmen.